Admittedly, this is a pun translated into English as an introduction to this blog, referring to the double possibility of “reloading” in the Costa del Sol, both in body and soul enjoying sunshine and mild temperatures, and as well recharging the batteries of our electric car. The Costa del Sol has not created a worldwide fame thanks to precisely being the birthplace of alternative vehicles. In fact, it is the venue chosen by many multinational companies to unleash the most striking sports cars of their catalogue. While in the rest of Europe there are numerous charging stations, on the Costa del Sol there are very few, an inconvenience making this new mobility less attractive. But the picture changes slowly and within a few years we will see many more models of electric cars on the roads of southern Spain. To discover the beautiful Andalusian Coast in an electric car so far requires planning your route and knowing where are located recharging points along the Costa del Sol. Contrary to what are happens with a combustion vehicle, you should be a little more farsighted when embarking on the road, especially if you do travel along different or unknown routes. Besides the official “electro-stations”, we applaud private initiatives in the tourism industry that seem to be more aware that the European clients may be interested in this innovative form of transport. Malaga, belonging to the SmartCity project, facilitates by now two different charging points in calle Pacifico 129 (Smart city) and calle Maestranza 4 (Endesa), both located in the centre of Malaga. In Fuengirola, you can recharge your electric car at the petrol station at the exit 212 of the A-7 motorway. In Marbella there are currently two charging points in calle Ramon Areces (El Corte Ingles) and calle el Fuerte, 4 (Hotel El Fuerte). In Estepona we can find a charging point at the Hotel Pullman Barcelona on Avenida del Litoral 10. Besides this information, the reader may find interesting to know that Malaga soon will have the first bidirectional loading point in Europe that allows users to charge the car or return excess energy to the network representing a breakthrough in the development of SmartGrids (smart electricity networks). Another interesting project underway at Train Station Malaga Maria Zambrano is the “Ferrolineras”; railway stations to recharge electric cars in 20 minutes with the energy of braking trains. In a nutshell, there are a few interesting projects underway or in process of development and sure in the coming years we will be able to enjoy an alternative and greener driving in Malaga and the Costa del Sol at an affordable price and with a wide range of electric cars. 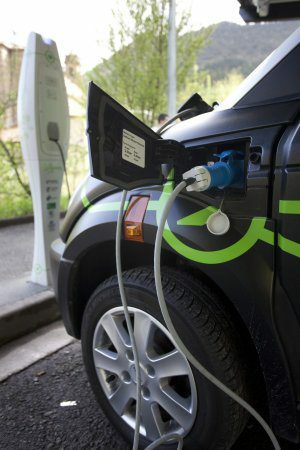 I like electric cars and the idea of them, but I find them to be a bit of an issue; in the UK, you can get electric cars – except the majority seem to only good as town cars. With a battery life of three hours (or 60 miles), it’s not the type of car you can take on a day trip. Also, the minimum I can purchase a good electric car for is about £7000, which in my opinion is a bit expensive for the luxury of it.